The leader's name is the Surgeon, and he is the president of the Night Wolves, the largest motorcycle club in Russia. 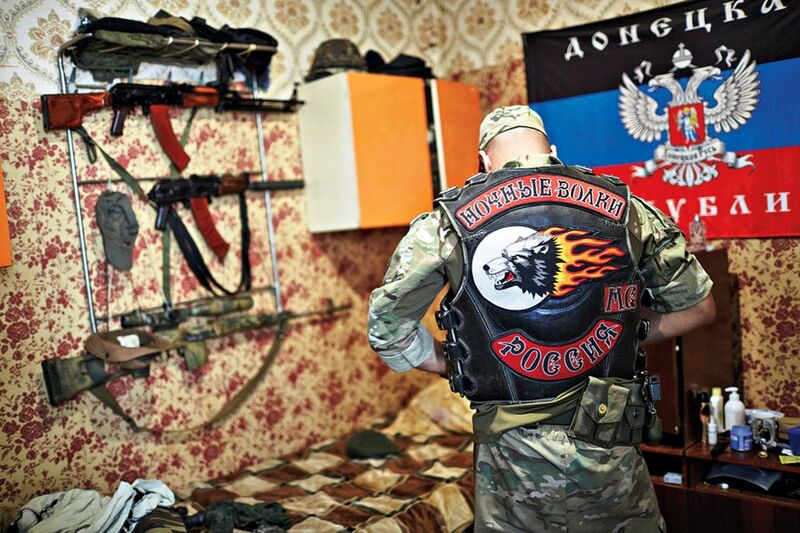 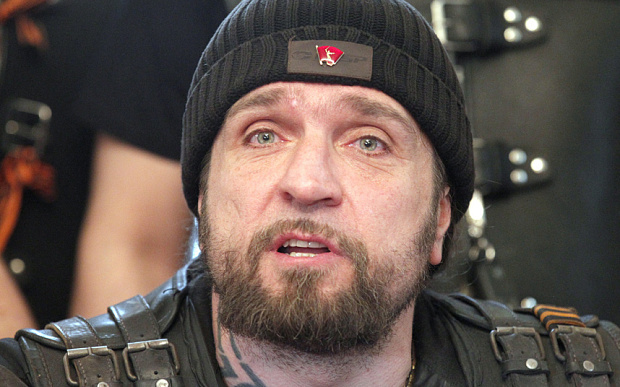 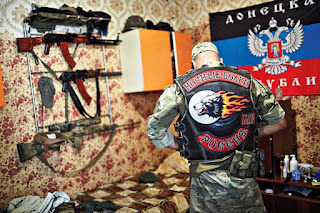 The motorcycle club's leader has transformed a biker gang into a self-styled vanguard of patriotic holy warriors, reportedly 5,000 strong, with close ties to the Kremlin. 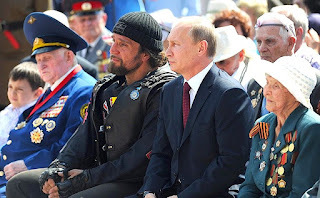 He can regularly be heard trumpeting the country's greatness while warning that its enemies — America, Europe, homosexuals, liberals, traitorous "fifth columnists" — intend to undermine Mother Russia. 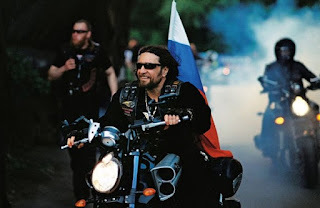 He and the other Night Wolves often hold motorcycle rallies to promote Russian patriotism and Orthodox Christianity, making rumbling pilgrimages to churches and holy sites. 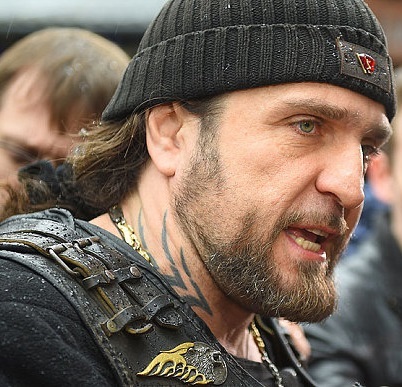 He has vowed to defend the Kremlin from Maidan-inspired protesters and has pledged to die for Vladimir Putin, the country's president. He has famously declared that "wherever the Night Wolves are, that should be considered Russia." 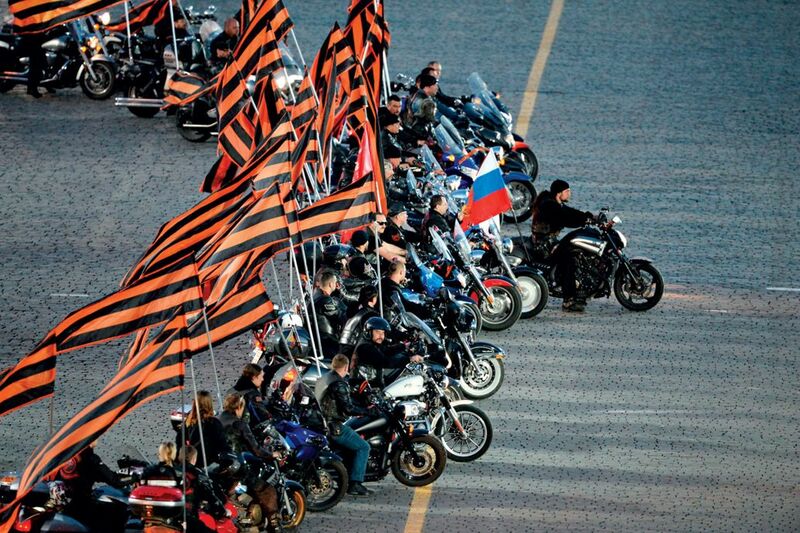 In 2013, Putin awarded the Night Wolves' leader an Order of Honor for his "patriotic education of youth." Putin turned the club into "auxiliaries of the state" as part of a broader push to turn potential adversaries into compliant allies. 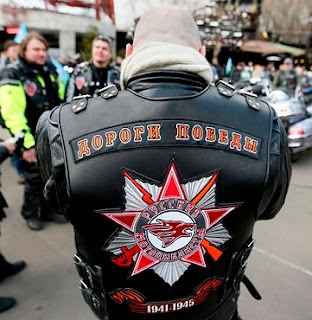 The Surgeon flirted with modeling the Night Wolves on the HA, they reportedly operated according to a word-for-word Russian translation of the Hells Angels' rule book. 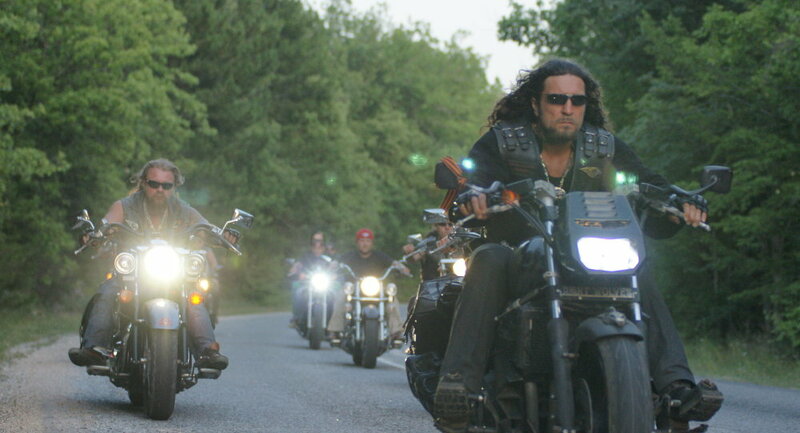 Now he is a detractor of outlaw clubs. 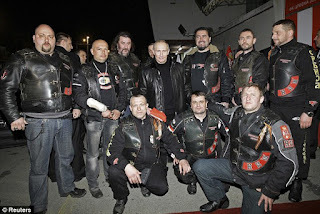 In the Russian press, he has called them "arms dealers," "demons" and "drug cartels on wheels." 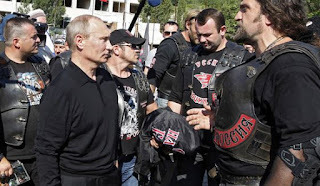 In June 2015 he asked Russia's parliament to include both the Bandidos and Hells Angels on the government's new list targeting "undesirable" foreign organizations.